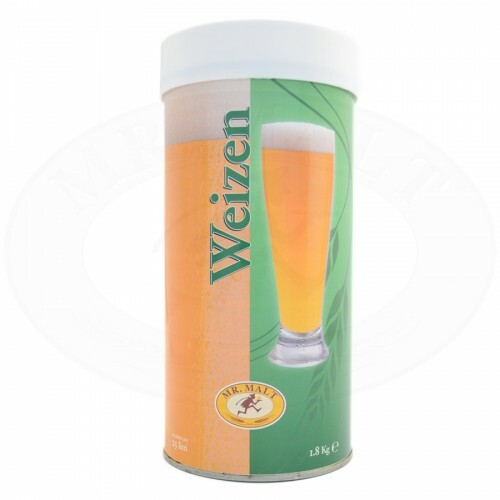 “Weizen” beer kit for the production of 23 litres straw yellow beer with a long-lasting foam. A high percentage of wheat has been used in the production of this beer, so that its taste is slighlty bitter and refreshing. Slightly hopped. The high number of wheat proteins makes this beer slightly opalescent. The package contains a dry yeast sachet. To be served at 8°C. Ingredients : BARLEY and WHEAT malt extract, hop extract, dried yeast.